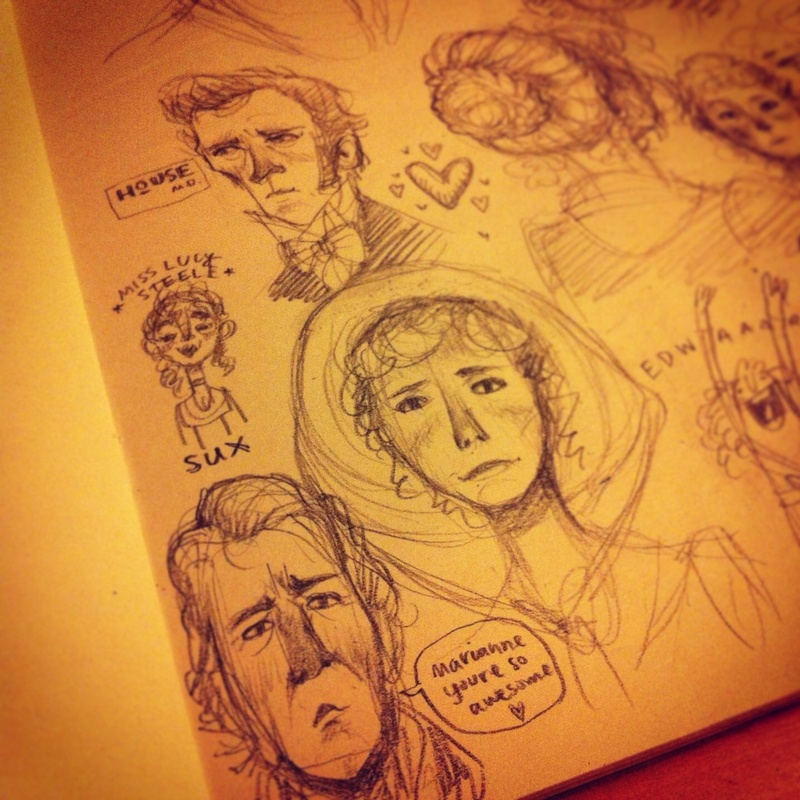 Sketching while watching Jane Austen has to be one of the more relaxing things I enjoy doing on Sunday evenings. It's a challenge trying to capture the essence of someone when they're only on the screen for a few seconds, but it's really nice stretching my sketching muscles and it forces me to not care about what the end result looks like. (However, sometimes I pause it if I really want to get details. Cheating, I know.) In college, opportunities to be practicing gesture drawing, keeping fingers limber and continuing to learn and improve were everywhere. Now I just have to create those opportunities for myself more consciously. So here is the result of an evening with Emma Thompson being a goddess, Kate Winslet being an emotional wreck, Alan Rickman proving he's a surprisingly good Good Guy, and Hugh Grant playing Hugh Grant. And a little Hugh Laurie being a sourpuss.